A few months ago, I changed hosts for my website and decided to make the switch from megan-mcdonald.com to meganmcdonald.org. 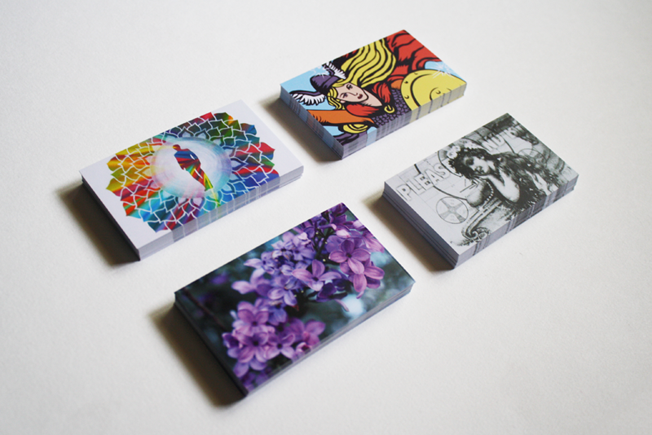 Along with the address change came the necessity for some new business cards. COLOURlovers just happened to have a contest with the printing company 4by6.com last month for a portfolio pack pattern design. 4by6.com was generous enough to also offer a free portfolio pack per person with only the cost of shipping from a code found on the COLOURlovers blog. Instead of putting my efforts toward a pattern for the contest, I decided to focus my energy on creating a portfolio pack of my own. 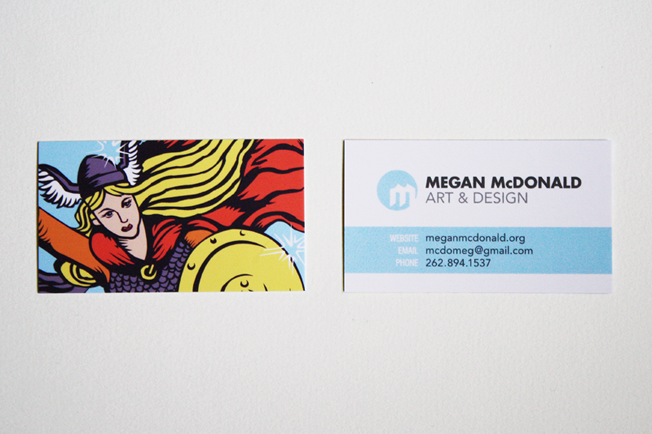 My new business cards arrived yesterday, and I couldn’t be happier with them! They have a satin finish with just the right amount of shine, the colors were spot on, and they were trimmed perfectly. To get a better idea of how the back of the card looks without the glare from the lighting, please visit the original portfolio post on my website.